For the band’s first batch of new material on Merge since 1999’s 3-LP classic 69 Love Songs, Stephin Merritt & Co. crafted a witty, synth-dappled collection of songs that sound like they could’ve been created during the band’s mid-’90s halcyon days. Then again, it’s not really fair to act like Magnetic Fields fell off. While 2004’s i sounds a bit flat when compared to several of the group’s 10 (!) albums, and 2008’s excellent, Jesus (and Mary Chain)-worshipping Distortion may have confused a few fans unfamiliar with Psychocandy, this is a group that has consistently delivered clever, wildly-well-put-together odes to love and loss for more than 20 years now. Love at the Bottom of the Sea doesn’t take many chances, but that also doesn’t seem to be the point. All its songs traffic in the cozy synth-strings-and-strums aesthetic that Magnetic Fields owns at this point. Songs like the hilarious, electronically-propelled “God Wants Us to Wait” or elegant single “Andrew in Drag” are quintessentially Merritt, filled with furtive quips and evocative imagery. 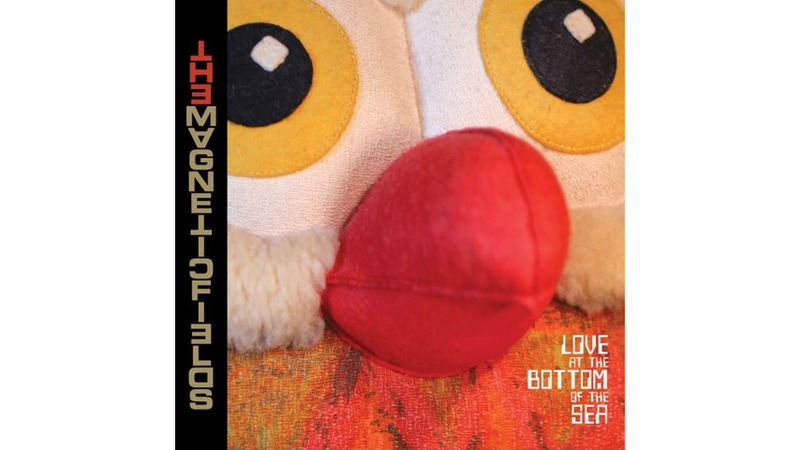 Unsurprising though it may be, Love at the Bottom of the Sea is an endearing, comfortable offering from a band that will hopefully do 10 more albums. Welcome back, folks.